This month marks the seventh anniversary of one of the pinnacle days of Mr. Valentino’s career. 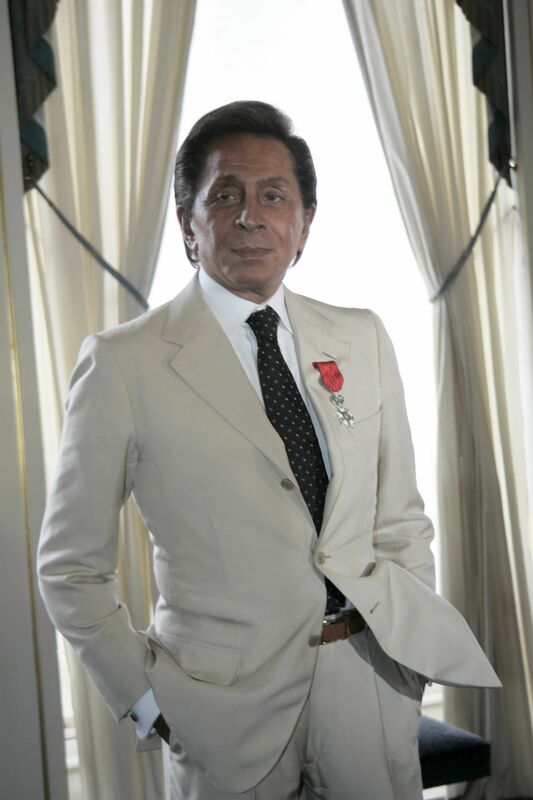 On July 6th, 2006, Mr. Valentino was presented the medal of the Legion d’Honneur, the highest decoration given out in France. The National Order of the Legion of Honor was established by Napoleon in 1802; more than two hundred years later, Mr. Valentino was invited to join its elite membership, in recognition of his contributions to fashion, and more particularly, to that iconic French art of haute couture. 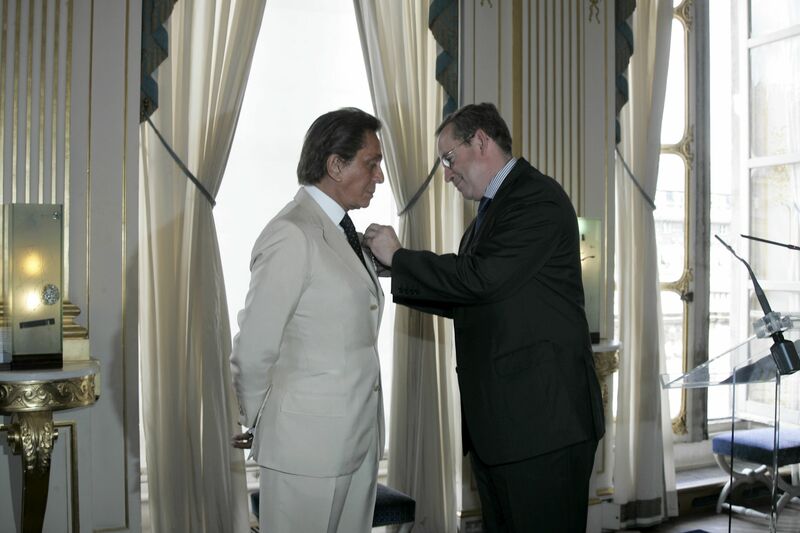 French Culture Minister Renaud Donnedieu de Vabrespresented Mr. Valentino with the medal, and conferred on him the honorary title of Chevalier, or Knight. Guests at the event include Vogue editor Anna Wintour, actress Elizabeth Hurley, and of course, Mr. Giammetti, who Mr. Valentino thanked for his decades of support and friendship in a speech that brought tears to many attendees eyes. “I love this country like my own,” Mr. Valentino told the crowd, and to emphasize the point, he and Mr. Giammetti hosted a lavish celebration after the ceremony at their 16th century chateau outside Paris.